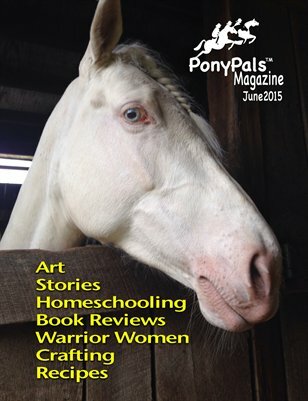 June's issue has lots of fiction, art, poems and pony pictures. What do homeschoolers do in summer? Articles teach how to craft a halter for a model horse, make tasty recipes, and learn about warrior women in history.